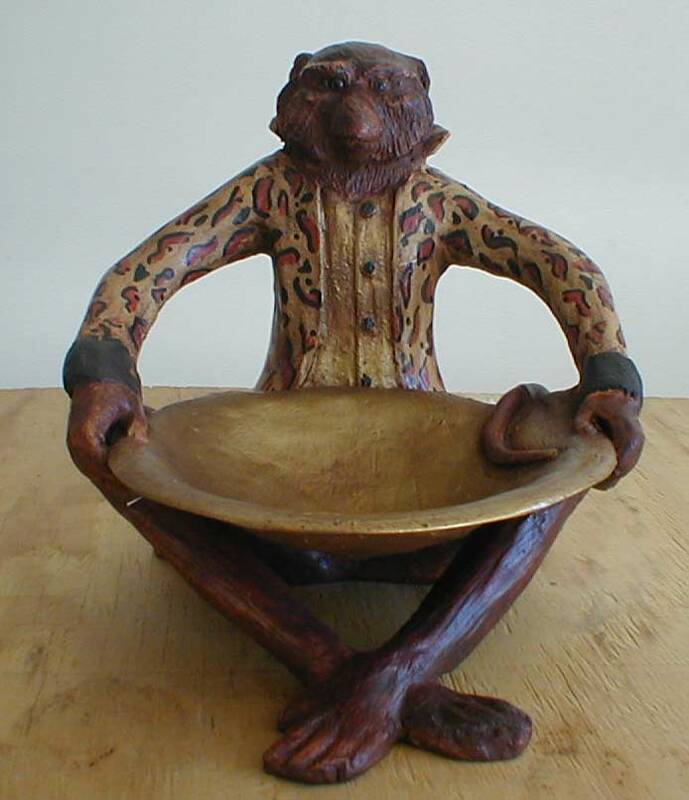 Description: Monkey sitting with bowl. Shown with leopard jacket. Also red or green.